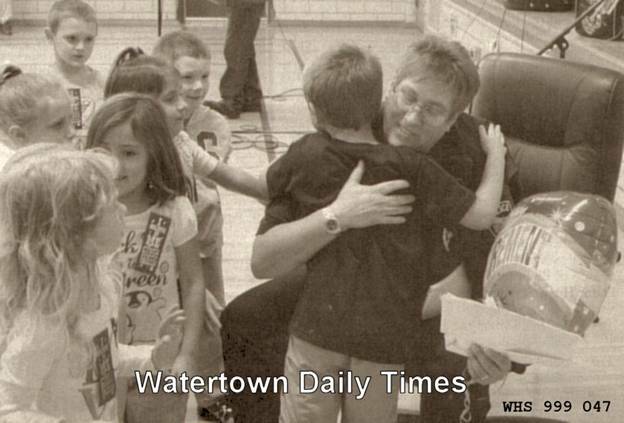 Officer Marcie Repta retired after 26 years of service with the Watertown Police Department. Repta began her career with the department on Jan. 6, 1986. She was hired by former Police Chief Richard Reynolds and was the first female police officer in the history of the department. During her career with the department she worked each of the three shifts and served as a field training officer, major crash investigator and bicycle safety instructor. In 2000, Repta was elected as the president of the Wisconsin Association of Women Police and served in various leadership capacities within the organization ever since . She was the recipient of 11 letters of commendation and further served her community as a board member of the Watertown Humane Society. Repta was assigned to Lincoln Elementary School for most of her career to help supervise the area in the morning and afternoon as the students arrived and left for the day. The children and staff at the school surprised Repta with a retirement ceremony in the school gym. Repta was presented with flowers and a balloon that read, "Happy retirement". Each grade also put together a book with suggestions for what Repta should do now that she will be retired.